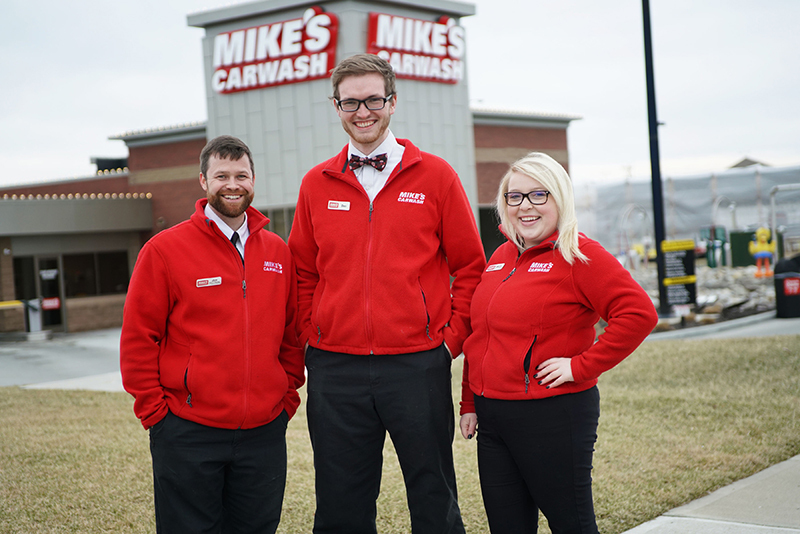 Mike's Carwash was recently named as one of the 2019 Best Employers in Ohio. The annual list of Best Employers in the state was created by the Ohio SHRM State Council and Best Companies Group. The statewide survey and awards program is designed to identify, recognize and honor the best places of employment in Ohio, benefiting the state's economy, its workforce and businesses. The 2019 Best Employers of Ohio list is made up of 41 companies. This year's award marks the sixth consecutive year Mike's has earned the distinction. "We are thrilled to have been recognized as one of the Best Employers in Ohio for the sixth year in a row," says Ty Dubay, Chief Operating Office of Mike's Carwash. "Each year we receive this distinguished award, it reassures us that we are continuing to hold true to the Mike's tradition of creating a positive, fun and friendly work environment. We attribute our continued success to our dedicated and talented team members, as we know that they are the most important part of our business." Companies from across the state entered the two-part survey process to determine the Best Employers of Ohio. The first part consisted of evaluating each nominated company's workplace policies, practices, philosophy, systems and demographics. This part of the process was worth approximately 25% of the total evaluation. The second part consisted of an employee survey to measure the employee experience. This part of the process was worth 75% of the total evaluation. The combined scores determined the top companies and the final rankings. Founded in 1948, Mike's Carwash is headquartered in Loveland, Ohio. The company is known for its state-of-the-art carwash technology, friendly customer service and its dedication to the communities it serves. 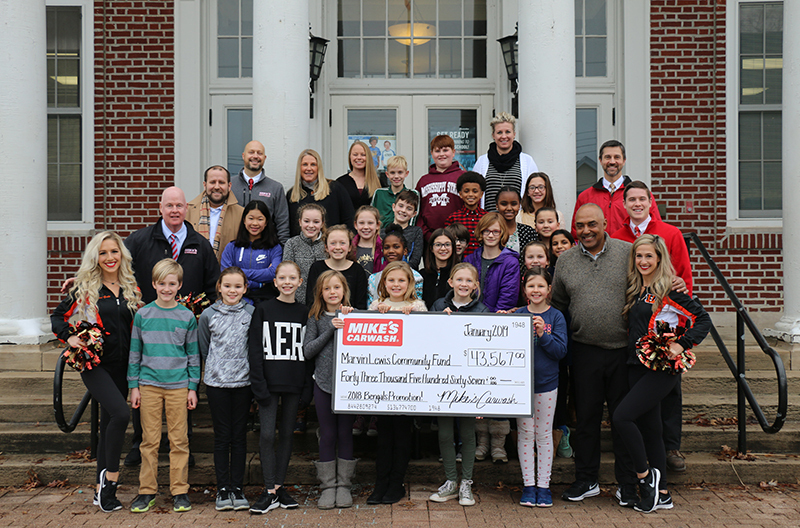 Mike's has locations in Evansville, Fort Wayne, Jeffersonville and Mishawaka, IN, Cincinnati and Dayton, OH, and Florence and Louisville, KY.
Mike's Carwash presented a check for $43,567 to the Marvin Lewis Community Fund after the final Bengals game of the season. The donation was a result of the proceeds from Mike's "2 Sacks You Save" promotion during the Bengals 2018 season. Mike's pledged to donate $1 to the Marvin Lewis Community Fund for each Ultimate Wash purchased the day after the Bengals recorded two or more sacks in a game. The Bengals recorded 2+ sacks in 10 out of the 16 games played this season. "Giving back to the community is a huge part of the Mike's Carwash culture and thanks to the Bengals Defense activating our promotion 10 times this season, we were able to make our largest donation to-date" says Ty Dubay, Chief Operating Officer of Mike's Carwash. "Thank you to all who supported our promotion throughout the season, allowing us to donate over $43,000 this year for a three-season donation total of over $98,000! We know the community fund is using this money to make a huge impact in our city and we are thrilled to be a part of it!" "This donation from Mike's Carwash will help fund our signature program, Learning Is Cool, which supports more than 31,000 local students to encourage them to get good grades and stay in school," says Natalie Anderson, Executive Director at the Marvin Lewis Community Fund. "We are fortunate to have such loyal corporate partners like Mike's to support our community initiatives." The Marvin Lewis Community Fund's mission is to empower youth education throughout Greater Cincinnati. What began as a small organization in 2003, has grown into a nonprofit that gives back through its own core outreach programs and community initiatives. 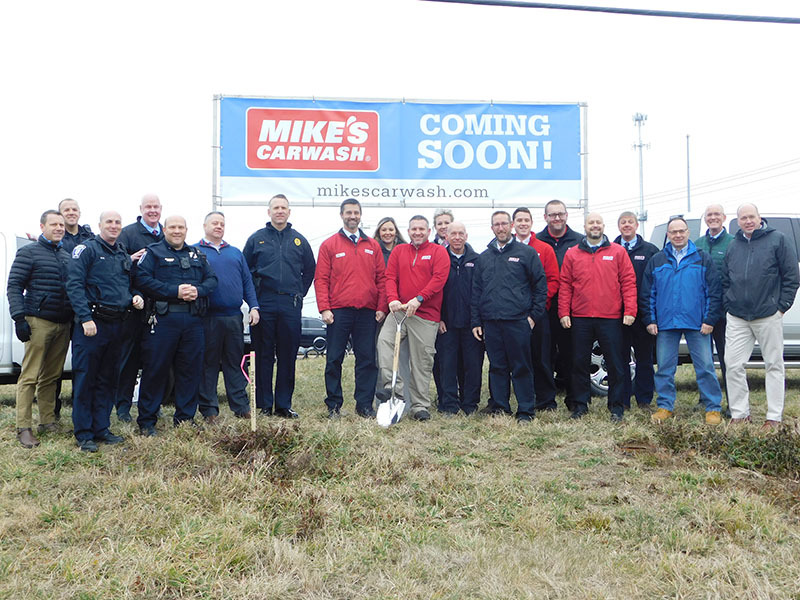 Mike's Carwash has officially broken ground on their newest location at 5800 Montclair Boulevard in Miami Township near Scene 75. This is the twelfth Mike's Carwash location in the Cincinnati area, and will bring the company to 25 locations in total. Mike's total construction investment into the new location will be more than $6 million and the new store will feature the latest carwash technology to ensure the highest quality wash possible. Once the store is up and running, it will employ more than 20 team members. "We could not be more excited about our new location conveniently located in Miami Township," says Mike Dahm, President of Mike's Carwash. "We are thrilled to be opening another location in Cincinnati and we believe this new location will allow our exceptional customer service to really shine, with a nod to new technology that is advancing our industry and helping us deliver on our promise to provide a clean, quick carwash, every time, with a smile."